Sometimes the most uncomplicated of events can lead to the most magical of evenings. But before I get into that, I have to let you know that I'm spending the majority of September traveling outside of Houston - both for work and for fun - starting this Thursday with a family trip to Disney World! I will report back on the trip (and duh food) ASAP, as I did before during previous visits to see The Mouse, but please know that my September posts may be a little limited. 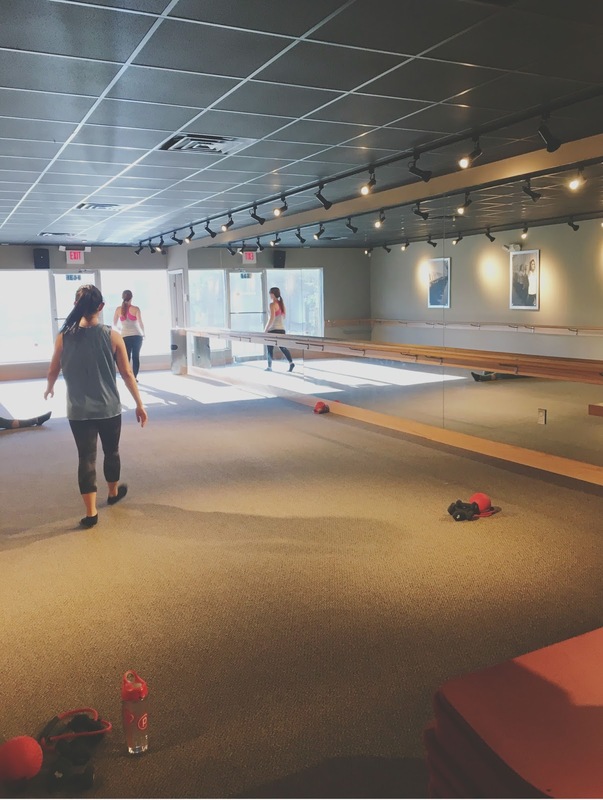 Last Wednesday, my good friend Heather brought me as her guest to a Pure Barre class in Houston's Heights neighborhood. The boutique studio hosts barre/pilates type classes in a gorgeous space. I don't typically take these types of classes (I'm more into yoga and spinning these days), BUT I am happy to report that I had a really awesome time while I was there! The people there (all women that evening) were all SO welcoming and sweet, and of course it didn't hurt that it was "Wine Down Wednesday." 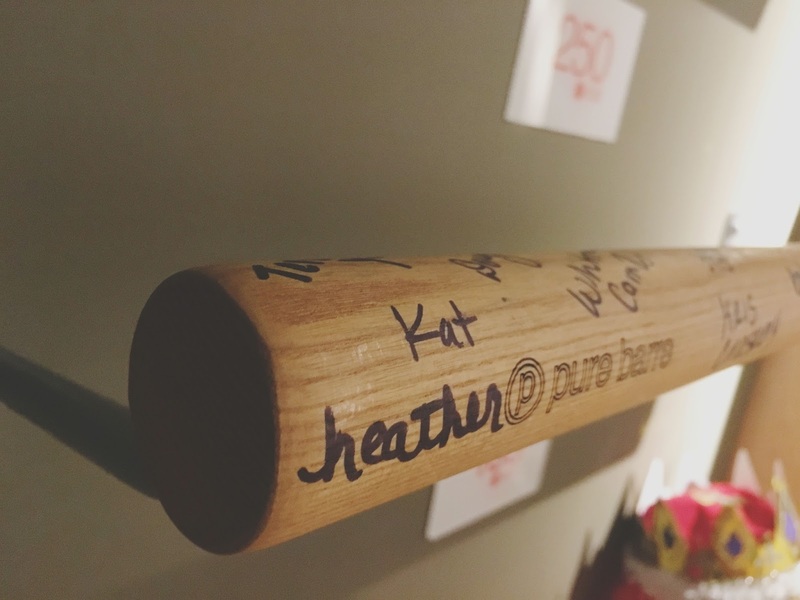 Pictured above is Heather's signature on a bar that celebrates the folks who have taken 250 Pure Barre classes! Pretty cool, aka she's my idol. Since we had worked out in the Houston Heights area, we decided to grab food somewhere nearby afterwards. 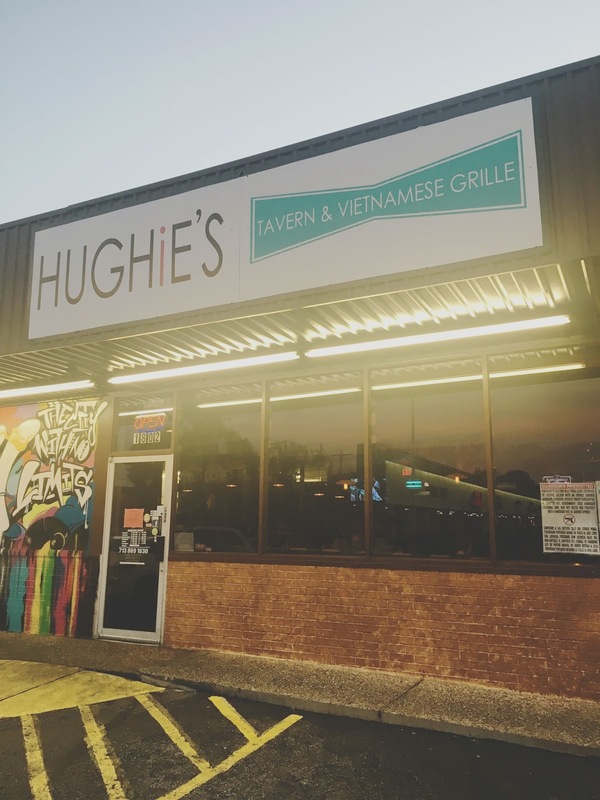 Heather had given a glowing endorsement of the restaurant/bar Hughie's Tavern & Vietnamese Grille, so off we went! This super laid back dive was bumpin' on that Wednesday night. 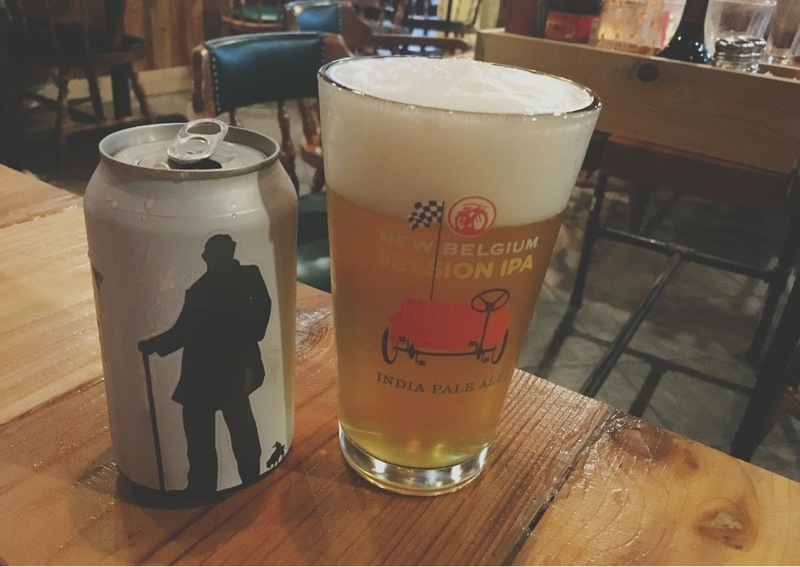 Heather and I sat ourselves at a table and ordered beers from their Wednesday Special - $2 Fire Sales ($2 cans of selected beers). I opted for the Buffalo Bayou Sam's Daily, which was light, mildly citrusy, creamy, and refreshing! Heather and I decided to order the restaurant's Vietnamese eggrolls to start. We asked for them to be made vegetarian (our friendly server informed us they had meat in them), and for the sauce on the side to be something other than fish sauce - so they provided us with a sesame sauce. 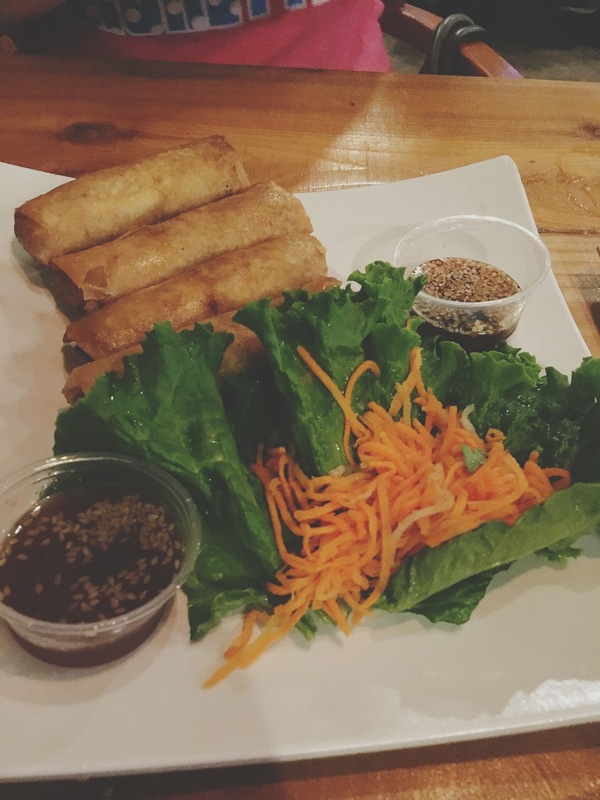 The 3-bite sized egg rolls were the perfect size for a starter. They were super crispy, and had great popping flavors, with a filling of different pickled vegetables. Wrapping lettuce and carrots around them added a nice freshness, and the sesame sauce was zippy and delicious! This was definitely a great starter. For our main course of food, Heather ordered the restaurant's shaking beef, and I went with the spicy lemon grass tofu, with a fried egg on top for good measure. Having already been a card-carrying lover of the restaurant's food, Heather of course enjoyed her entree - and I absolutely loved mine! 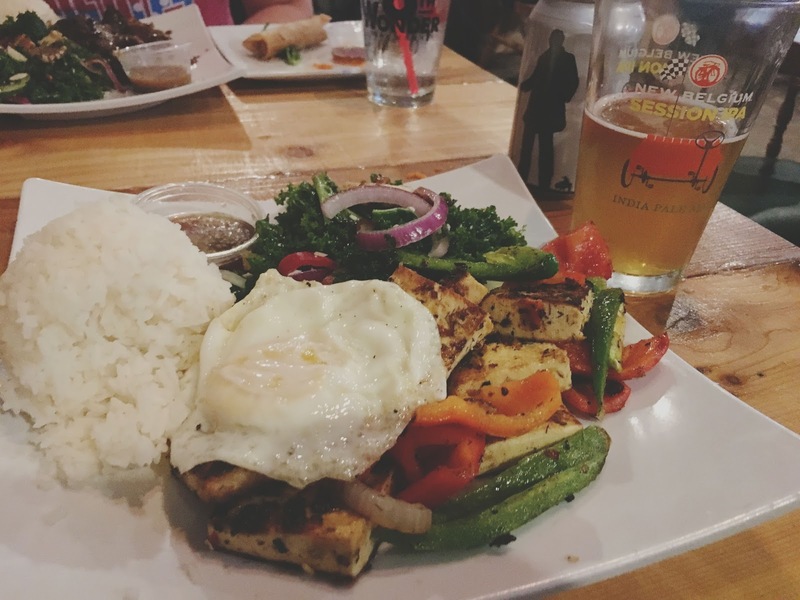 Pan-seared tofu with lemongrass, sliced jalapenos, bell pepper, and onion was served with a bed of steamed rice, tofu sauce, and a kale vinaigrette salad. The tofu itself was lightly crisped on the edges and soft on the inside, and the flavors were filled with lemon, smoke, and spice. The vegetables added another layer of heat, and the runny egg brought a nice softness to it. 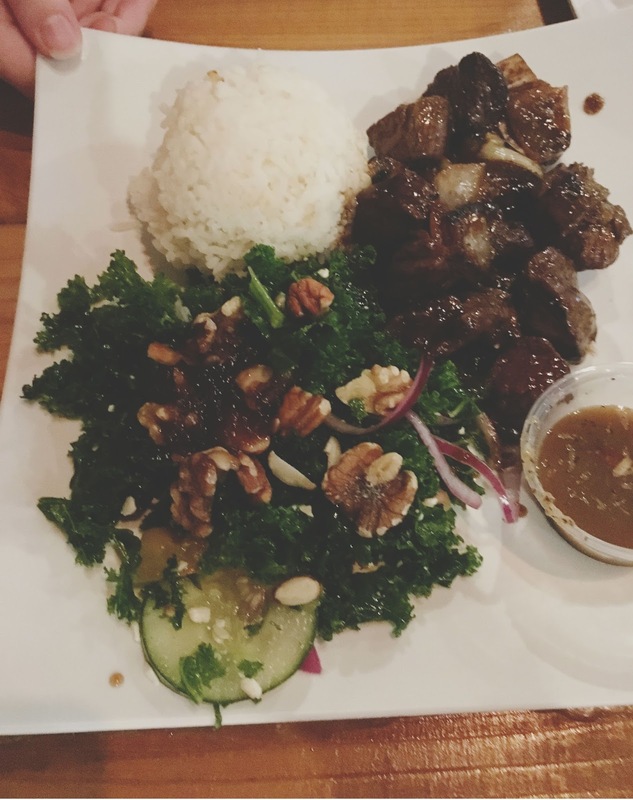 And kale-hater that I am, I actually enjoyed the salad! (Heather was in a state of shock). This dish really was fantastic! An evening of a good workout, good restaurant food, and quality time spent with a good friend in Houston cannot be beat. 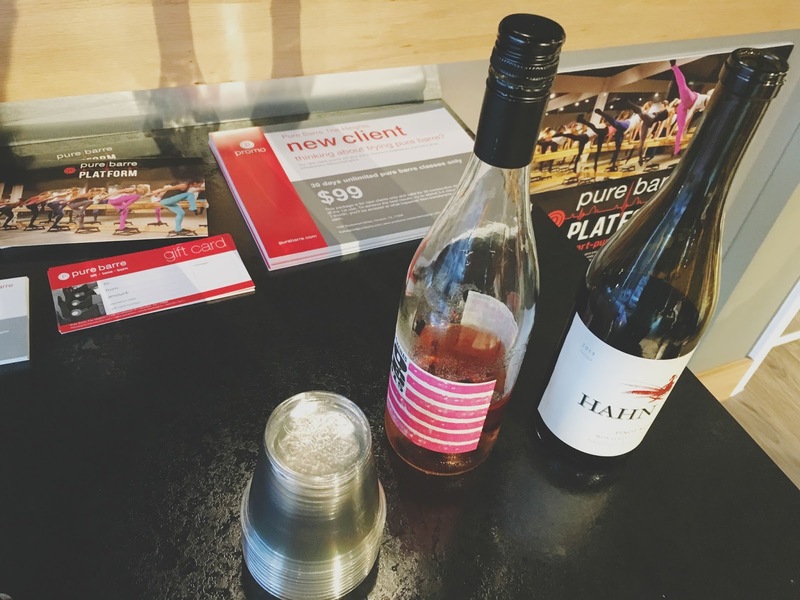 I definitely recommend checking out Pure Barre for a fun workout, and Hughie's Tavern and Vietnamese Grille for delicious food and great drink prices. 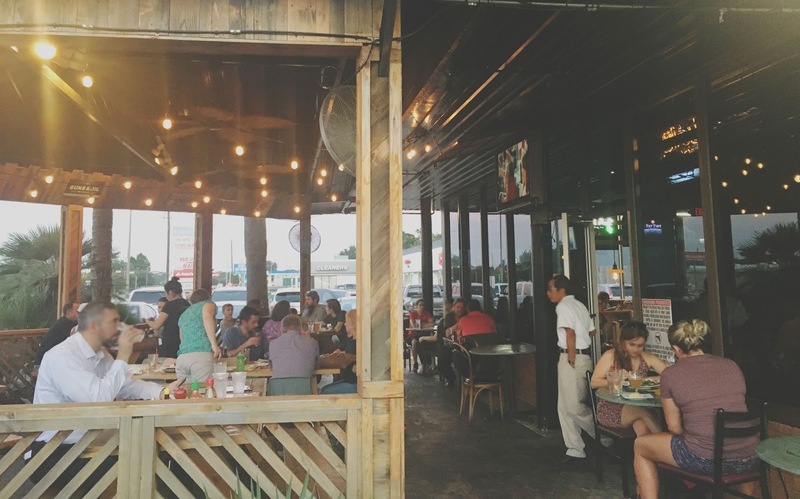 Both located in Houston's Heights neighborhood, they create a recipe for one great night!